The cost of everyday items like food and energy have been rising recently. Inflation in Canada recently ticked up a bit. The new and rising cost of living is being felt among the population. Karin Mizgala, the CEO of Money Coaches Canada, says she sees the effects every day in her practice. "People are feeling not overly optimistic about the state of the economy and their ability to keep up. Most people are feeling really stretched, even people with good incomes. People feel stuck." Cattle futures jumped 20% this year to an all-time high of $2.0052 a pound on the Chicago Mercantile Exchange. The size of the total US cattle herd is the smallest that it has been since 1951. "I've never seen prices like this before in my life, or ever dreamed that I would," a 64 year-old auctioneer was quoted as saying. Over in California, the bread basket that produces half the country's fruits and vegetables, 99 percent of the nation's almonds, 95 percent of broccoli, 90 percent of its tomatoes, 74 percent of lettuce, is facing "severe," "extreme," or "exceptional" drought. Elsewhere bacon prices are up 55% margarine up 30%, wine, 25% and oranges 35%. And then there is the energy side of the story. Gasoline prices are up 6.6 per cent this year. Natural gas is up a remarkable 26 per cent in some regions. All-in household energy bills are up 5 per cent this year. No wonder the average consumer is feeling stressed. A strong Canadian dollar has helped keep prices in check by increasing buying power. 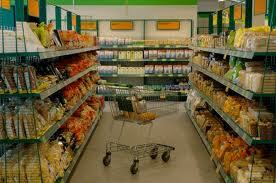 As well, fierce competition among food retailers in Canada has helped keep a lid on prices. But those trends are giving way. The grocery store wars between Target, Wal-Mart and Loblaws are easing. The falling Canadian dollar is reducing the buying power of the average consumer. The result: Canadians are feeling more financially stressed than ever. Mizgala says stressed Canadians are feeling the pain. She started her firm several years ago with a partner. The company does not target high net worth clients, but instead focusses on regular professional Canadians. Many are having trouble managing and organizing their finances. “Typically we help someone going through a transition, say a divorce," says Mizgala. But she sees many having problems today. "It is really easy for our money to go out of pockets. Life is expensive; we live in a material world. People are overextended, not living within their means. It's amazing to see how many people don't have a handle on their finances." For good or bad, “ Business has been really good,” she says.